A climbing harness is one of the, if not the, most important part of any kind of climbing. Whether it be rock climbing, ice climbing, highlining, or speed climbing, a secure, safe harness can, and will, save your life. Whether you are a man or woman, beginner or climbing expert, you need the right harness to fit your needs and to ensure you stay safe while in the air, we’re sure this list will give you the direction and peace of mind needed to buy the right harness for you. The best climbing harness goes to the Black Diamond Momentum DS Harness, it is incredibly well priced, very well made, strong and durable. This brilliant, all-around harness is great for beginners and experts alike and is strong enough to handle any situation. The Petzl Selena Climbing Harnesstakes the title for our favorite women’s harness. designed to fit the female body, and extremely comfortable, this harness is a must have for the ladies. The YXGOOD Climbing Harness is a great starter harness for newbie climbers. It’s a well made, strong, all-round harness that will get the job done while you learn. The Black Diamond Aspect Harness is our favorite climbing harness. 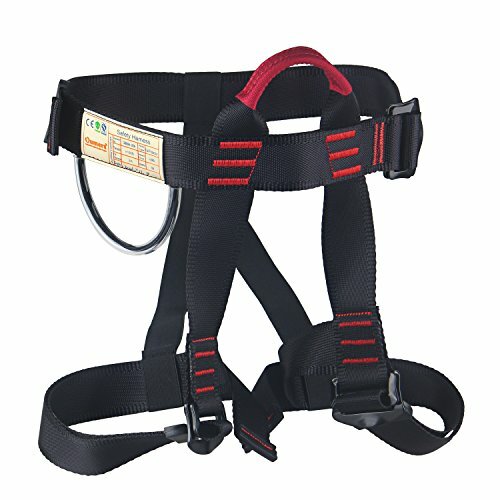 Black Diamond is known for their quality and high standards, and this harness absolutely fits into that frame of mind. 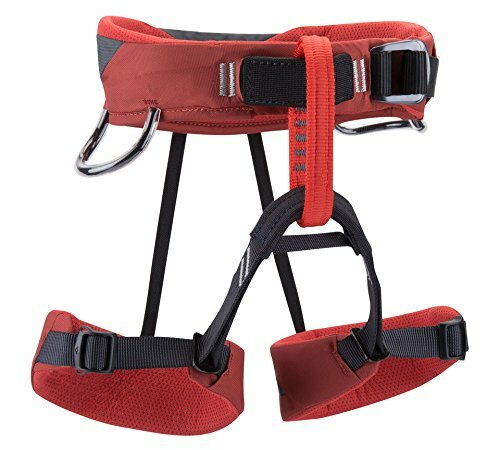 The Oumers Safe Seat Climbing Harness is at the top of our list for the most comfortable harness. It’s simple, classic design will keep you comfortable no matter how long you hang for. The Black Diamond Momentum DS Harness is our favorite climbing harness. Well made, secure, strong and durable, this harness will not let you down, no matter the challenge. The Black Diamond Wiz Kid Harness is a brilliant starter harness for your kids. It’s very comfortable, secure, spreads weight evenly to not injure your little one, and is just a brilliant all-around harness. 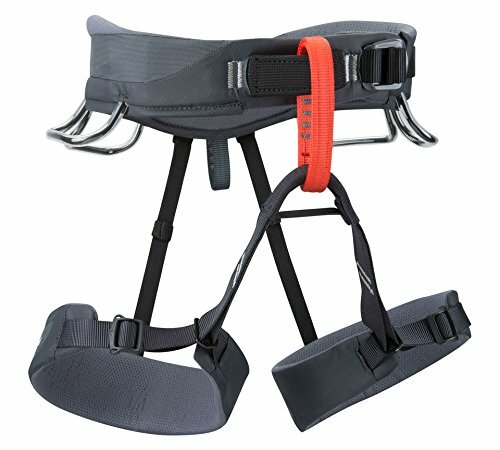 The Oumers Safe Seat Climbing Harness is a brilliant, versatile beginner harness for anyone wanting to get into rock climbing, mountaineering, caving, or any other form of climbing. This harness is suitable for kids and adults, making it a great first purchase. The harness has a traditional construction, with the buckle distributing weight and pressure evenly to keep you comfortable, the waist belt and leg loops have breathable mesh material to keep you cool. Two DoubleBack buckles allow the waist belt to be tightened and secured in one movement, no need to fuss with complicated systems. This harness by Black Diamond is one of their most versatile harnesses on the market. 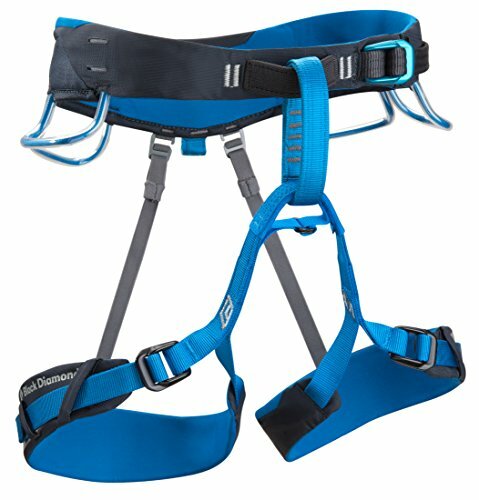 A great beginner harness or a replacement for all the seasoned climbers out there, Black Diamond quality is all over this harness. The dual-sided, pre-threaded speed adjust buckles allow for quick and easy adjustments, the tall padded bullhorn-shaped waistbelt adds stability and comfort, and the adjustable risers allow you to fit the harness how you need it. 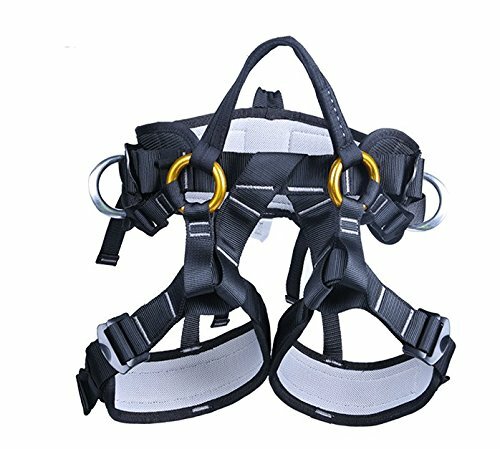 The YXGOOD Climbing Harness is a versatile climbing harness that can be used for many climbing activities, as well as jobs. The traditional design is very simple to use and is safe for beginners to start with. The traditional design distributes your weight and pressure evenly and allows for a comfortable feel while hanging, and the leg loops and waist belt are lined with breathable mesh material for extra comfort in warm conditions. The Petzl Sama Climbing Harness is a very well made harness designed for most climbing activities. The EndoFrame construction allows for excellent weight distribution and keeps you comfortable. The harness is designed with specific stitching that limits hard points and chaffing. The DoubleBack Light Buckle allows quick and easy adjustment. Dyneema tie-in points have brilliant resistance to rope friction and increase durability. The Petzl Selena Climbing Harness is designed specifically for women in mind. The harness is designed with LEFTnotruc technology, meaning it is made to fit the female shape and body type. Once again, this Petzl harness is made with EndoFrame technology to allow for even weight and pressure distribution. Specific stitching on the waist belt stops hard points and chaff, and the waist belt is wider on the sides to improve comfort. The Black Diamond Momentum Harness is another exceptionally high-quality harness from industry leaders Black Diamond. This harness is durable and strong and can withstand regular use incredibly well. The harness has a pre-threaded speed adjust waist belt buckle that allows for easy and efficient cinching. The harness also has trakFit adjustment for easy leg loop customisation. The adjustable rear riser to improve stability. 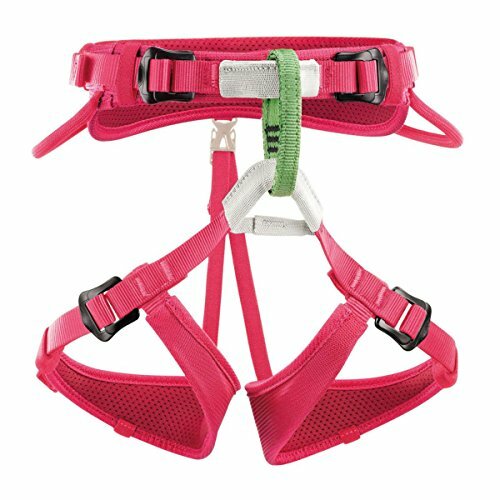 The Black Diamond Solution Climbing Harness is a simple yet efficient harness made with comfort in mind. Whether you’re on the indoor wall or out in the mountains, this harness ensures comfort like no other. The lightweight waist belt has Fusion Comfort technology, the contoured fit offers even more comfort and a wide range of motion. The harness has four pressure-molded gear loops, and adjustable, releasable risers. The Black Diamond Aspect Harness can be used on the indoor wall, out on the mountains, and even while ice climbing. The Ice Clipper slots allow you to carry extra gear or any other pieces of gear you may need. The harness has pre-threaded forged speed adjust waist belt and leg loop buckles for quick and easy adjustments. The harness also has Bombshell abrasion patches, which are 20 times more than standard nylon fiber. The Petzl Kids Macchu Climbing Harness is specifically designed for young climbers in the making. Easy to put on and extremely comfortable, the weight is spread evenly, with the EndoFrame design, to ensure your child stays balanced and stable. The entire harness is designed with safety and comfort in mind. 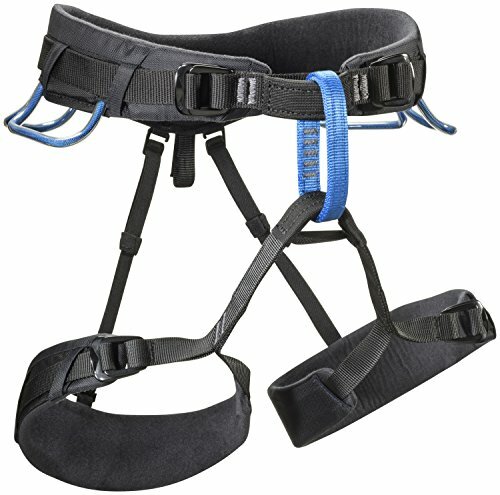 The leg loops and waist belt have double strapping, there are no compression points or friction zones, and two double back buckles allow for a centered tie-in point. The Edelrid Fraggle II Children’s Safety Harness is a full body harness designed for your little ones. The full body design ensures they stay safe, even though they haven’t quite grown into their waists or hips. The ergonomic design fits perfectly and is also extremely comfortable. Your child’s weight will be distributed evenly, meaning there won’t be any pressure points, preventing any injury. The harness is versatile and can be used on a mountain, or a child guide while skiing. The Black Diamond Wiz Kid is the premier kid’s harness in the Black Diamond range. The nylon fabric is strong and durable, and the two pressure-molded gear loops add durability. The Trackfit leg loops are also very easy to adjust and use. The Bull-horn shaped open-air waist belt uses dual-core construction, and the pre-threaded speed adjusts the waist belt is very easy to adjust. The adjustable, rear elastic riser allows for quick and easy adjustment for size. Before getting into the details of each aspect of your harness, it is important to know what makes up your harness. This list will help you understand each component of your harness. The waist of your harness is an important feature as it affects both safety and comfort. The waist of your harness should sit either above or on your hip bones. Women tend to wear a harness above the hips as they are usually wider than a man’s hips. The waist needs to be cinched tight and there must not be more than two fingers worth of room. If the harness is too loose, it will ride up while hanging, if it is too tight, it will be extremely uncomfortable. The best advice is to put it on before taking it out, and tightening it for climbing to ensure it fits comfortably. In the past, a lot of harnesses had adjustable leg loops, nowadays though, harnesses come with fixed leg loops, to save weight. There may not be any buckles, but they usually have a small piece of elastic to give you a few inches of adjustment. Leg loop sizes are relative to the waist, but this obviously varies between manufacturers, your best option once again, is to try on the harness and ensure the loops fit snugly and comfortably. The rise of a harness refers to the distance between the back of your leg loops and the waist belt. If the rise is too short, as in your leg loops sitting too high, you will struggle to stay upright, if they are too loose, you will absorb falls through your legs, which can cause injuries. You will know when your rise is correctly adjusted when you are able to stay upright easily while hanging, and not have to fight to keep your legs from swinging out from underneath you. 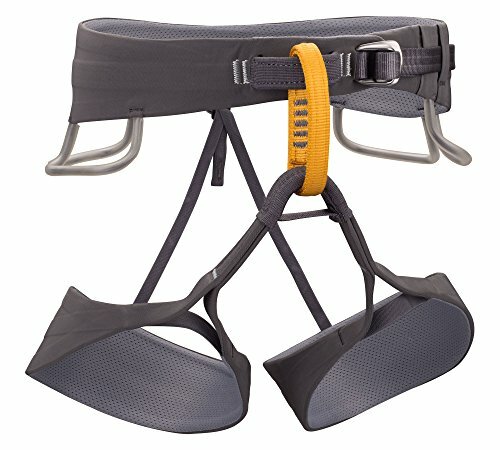 Another question you may have, is how to put on a climbing harness? An expert’s help is always essential if you are a beginner, but here are some tips to follow so you can get your head around putting your harness on. In conclusion, you can not go climbing without a harness, simple as that. Beginners and professionals alike all need one to ensure their safety. Keeping this in mind, buying one will make you quite wary as you don’t want to find out if it works, on the day you want to use it. This guide was designed to inform you on the ins and outs of a harness, as well as their place in particular adventure sports, what makes them work and how to find the best one to suit your needs, in the end, the choice is up to you, but we hope this has given you the information you need to make the best possible choice.